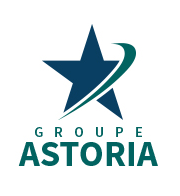 Member - Astoria Group We’re a local business with an experienced management team that has been serving the Montreal community for over 30 years. We’re a local business with an experienced management team that has been serving the Montreal community for over 30 years. This has allowed us to create a loyal clientele who demand quality and enables us to offer to our customers a large variety of services which reinforces this partnership based on quality. Groupe Astoria offers a complete line of commercial and industrial maintenance for a large variety of buildings. Apart from our regular maintenance service which distinguishes Groupe Astoria, is the “made to measure service” adapted according to the specific needs of each client. Astoria Group was the first commercial cleaning company in Quebec to receive the “Canadian Green Sustainability Contractor” certificate in March 2011 from the CSSA (Canadian Sanitation Supply Association). Our Green Cleaning policies and procedures may help our clients achieve several points leading toward a LEED® certification.